Atlanta, GA (Restaurant News Release) Tropical Smoothie Cafe, LLC, the leading national fast-casual cafe concept known for both its better-for-you smoothies and food with a tropical twist, has cause to celebrate the notable milestones and achievements accomplished in 2018. During 2018, the brand opened 110 cafes and signed 191 franchise agreements, which included more than 60 percent of those agreements coming from its existing franchisees. This growth is fueling the brand’s expansion in markets across the country, including Texas, Indiana and Georgia. With same-store sales of 6.5 percent and recognition amongst top industry awards such as QSR Magazine’s Best Franchise Deals, Entrepreneur’s Franchise 500 and Franchise Time’s Top 200, Tropical Smoothie Cafe reported its seventh consecutive year of positive same-store sales growth in 2018. Tropical Smoothie Cafe announced a major milestone in 2018 with the opening of its 700th cafe located in Hurst, Texas, and further accelerated its growth with the signing of franchise agreements in various markets, including eight new cafes in the pipeline for the Indianapolis, Indiana market and six new cafes in the Columbus, Ohio market over the next few years. The brand also celebrated 11 years of partnership with Camp Sunshine. In 2018 alone, Tropical Smoothie Cafe’s fundraising efforts totaled $1.01 million and benefitted more than 400 families by giving them the opportunity to visit Camp Sunshine in the future. 2018 efforts contributed to an 11-year cumulative donation of $6.3 million for the charity. Tropical Smoothie Cafe is looking to add qualified franchisees to its growing brand and currently has franchise opportunities in markets throughout the U.S, including Orlando, Tampa, Charlotte, Nashville, Philadelphia, Houston, Dallas, St. Louis, Kansas City, among others. Interested candidates should have business experience, along with $125,000 in liquid assets and a minimum net worth of $350,000. Candidates that meet these preliminary qualifications will need to make an initial investment ranging between $222,095 and $569,335. The better-for-you food franchise currently boasts an average unit volume (AUV) of more than $681,000 – the highest in the company’s 21-year-history – with the top 50 percent reporting an AUV of more than $873,000. For more information about owning a Tropical Smoothie Cafe franchise, please visit www.tropicalsmoothiefranchise.com or call 770-293-8377. 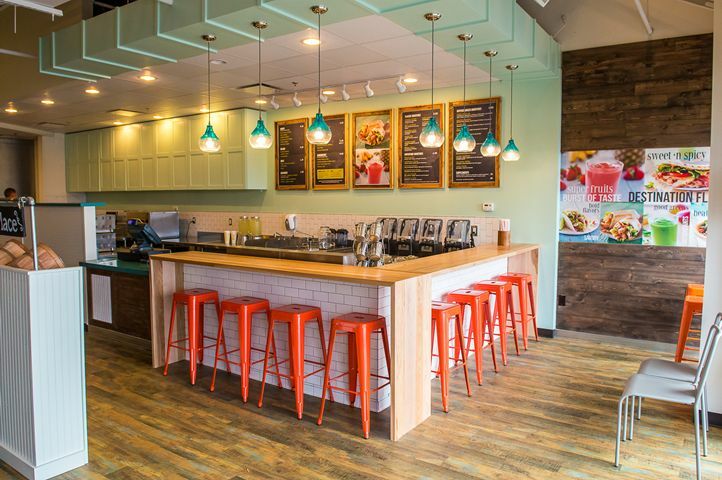 Tropical Smoothie Cafe is a fast-casual cafe concept inspiring healthier lifestyles across the country, with more than 720 locations nationwide. With snack and meal options for any time of day, Tropical Smoothie Cafe serves better-for-you smoothies, wraps, sandwiches, flatbreads and quesadillas. Upgraded app technology and enhanced mobile ordering capabilities further elevate the digital and dine-in cafe experience and emphasize the brand’s focus on convenience. The rapidly growing franchise has received numerous accolades including rankings in QSR’s Best Franchise Deals, Entrepreneur’s Franchise 500, Forbes Best Franchises and Fast Casual’s Top 100 Movers and Shakers in 2018, as well as Franchise Times’ Top 200+ and Nation’s Restaurant News’ Fastest Growing Chains in 2018.